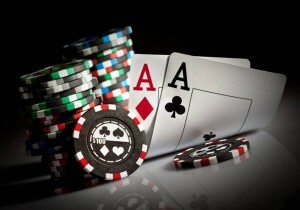 Has New York Legalized Online Poker? The topic of legalized and regulated online poker has been one of importance for several New York legislators as far back as 2013. The potential revenue and jobs that such an industry could provide for the state are major factors in the efforts each year. Each attempt to further a bill to legalize and regulate Internet poker has failed to gain enough support to go forward as a stand-alone bill or a part of the state’s annual budget. However, as online games grow in other states around America and prove their security, safety, and financial benefits, legislators pushed online poker legislation further in 2016 than in previous years. While 2016 may not be the year that lawmakers like State Senator John Bonacic and Assemblyman J. Gary Pretlow are able to accomplish their goals with regard to online poker, the bills continue to garner more attention and consideration. And as neighboring states begin to join Nevada, Delaware, and New Jersey in the burgeoning industry, New York is likely to eventually legalize and regulate the activities. Online poker was included in the state budget bill due to efforts by Senators Jeff Klein and Dean Skelos. The bill passed the Senate and Assembly, but the online poker section was removed before the law was finalized and took effect. State Senator John Bonacic introduced S6913 in March to legalize and regulate online poker, and Assembly J. Gary Pretlow did the same with A09509 in May. Both bills failed to progress through their respective committees before the legislative session ended. Bonacic and Pretlow introduced online poker bills again in their respective halves of the legislature. The adjustment from the 2014 bills was the removal of the bad actor clause, wording which would have prevented operators that accepted US customers after the passage of the UIGEA in 2006 from applying for licenses. Again, neither bill achieved passage through committees. The two online poker champions moved sooner in 2016 than in previous years. Bonacic took his S5302 from 2015 and reintroduced it, and Pretlow took A09049 to the legislature again. This time, the Senate version went to the Racing, Gaming and Wagering Committee on February 2 and passed unanimously by a 9-0 vote. Further, the wording from S5302 was included in the March budget plan and supported by the Senate. However, the final budget bill that did go for a Senate vote no longer included online poker. The outlook from that point diminished. Pretlow told conference attendees at iGNA in early April that some legislators had problems with online poker, and Pretlow didn’t feel that it could go to the floor for a vote on its own. He then noted that the issue was a 100-to-1 longshot for 2016, making it seem unlikely in any form. Online poker seems all but defeated. Meanwhile, legislation supporting the legalization and regulation of daily fantasy sports (DFS) seems likely to pass in New York, as well as a number of other states, in 2016. DFS is widely played and popular with sports fans, while online poker is often associated with gambling instead of the skill game that numerous court decisions have declared it. The support of prominent lawmakers and early movement in the New York legislature seemed in line with other gambling developments in the state. The first land-based casinos outside of Indian reservations are in the building process and likely to open their doors by 2017. Establishing regulations for online poker in 2016 would have made sense to coincide with the launch of casino operations, which are going to face stiff competition from neighboring areas in the eastern United States. Attracting customers via the Internet as well as in person could have given New York casinos an edge. Despite those reasons and positive signs early in 2016, online poker seems destined for postponement until 2017 or later in the state of New York. What is the current status of online poker in New York? It is not legal. State legislators have been unable to advance a bill that will legalize and regulate online poker despite efforts every year since 2013. Is live gambling legal in New York? Yes. Gambling on Indian reservations and at racetracks is legal, and other land-based casinos were approved by New York voters in November 2013. Three casino licenses were finally awarded in late 2015, and the casino resorts are expected to open in 2017. Can New York residents play on any legalized sites in other states? New York residents can only play on sites in New Jersey, Delaware, or Nevada when they are physically located within the borders of those states. Geolocation technology will detect players outside of those areas and prohibit online poker play. Are play-money sites legal in New York? New York Assemblyman J. Gary Pretlow has stated that online poker legislation passing in 2016 is a 100-to-1 longshot. However, he and State Senator John Bonacic continue to find ways to present their online poker bills to the legislature. There is always a chance that an opportunity may arise for further consideration of one or both of the bills in 2016. A bad actor clause in an online poker bill calls for the prohibition of any online poker site that offered its real-money services to US residents after the passage of the UIGEA in 2006. Basically, a bad actor clause applies only to PokerStars and Full Tilt. The most recent New York bills did not include bad actor clauses. Could New York share online poker liquidity with New Jersey? Yes. Interstate agreements are possible if the law allows. Nevada and Delaware already have such an agreement, and New Jersey is said to be discussing the same with Nevada. New York would have that option as well. If both houses of Congress and the President of the United States support a bill to legalize and regulate online poker, New York would be able to participate in that new industry. Each state would have the ability to opt out of the new network, but New York would be unlikely to do that. A federal bill has not been attempted recently, however, and has strong opposition in members of Congress who are supported by casino magnate and online poker opponent Sheldon Adelson. Contact the Poker Players Alliance at ThePPA-dot-org for information regarding actions to take in New York via telephone, email, and social media.